A grapheme is the smallest meaningful contrastive unit in a written language. At its most basic, a grapheme is only a symbol—a letter of an alphabet, a punctuation mark or a typographic ligature. But graphemes put together are transformative: they are tools to create order from disorder, articulate the inchoate, provide meaning when none was there. The same phenomenon happens in a creative workspace. At Grapheme, we believe these transformative moments (and the best versions of ourselves) are enabled when our thinking is clear and free of distractions and when we are focused on a meditative task—ideally one using our hands. When we make things with our hands, what is small has the capacity to become powerful and significant. The kernel of an idea. A match struck unexpectedly in the dark—changing the way we see and understand the world in a fundamental way. To this end, we carry organizational and office products in shop, as well as other paper products and stationery, which encourage clarity, creativity, precision and self-reflection. We look for clean design and attention to detail in all our products, whether produced in house or by our distributors worldwide, because we believe design has the capacity to influence our mental space. 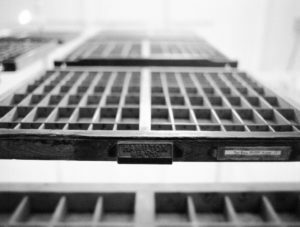 Our letterpress and book arts workshops provide a structured way to focus and hone attention toward the creation of beautiful and functional objects that serve this mission. Our goal in all these areas is to equip others with tools (whether literal or figurative) to create for themselves a more purposeful—and ultimately more meaningful—life. Mandolin Brassaw taught at the college level for more than ten years, all the while cultivating a love of letterpress printing on the sly. 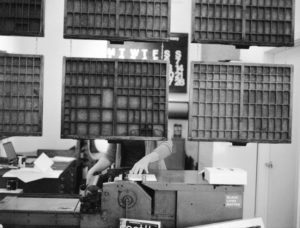 In 2008, she co-founded the letterpress collaborative, Paper Boat Studios, with Amy Thompson. 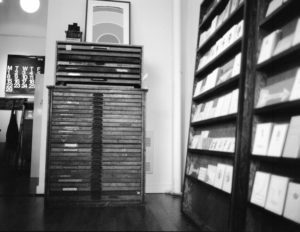 Grapheme (now Mandolin’s full-time endeavor) was established as a letterpress studio in 2014 and opened its retail doors in 2015. She still loves the life of the mind—and the written word—but is championing it in a new context. Her intention with Grapheme is to encourage others towards greater creativity, purposefulness, and a love of learning.